Did we meet at PodCamp Toronto? When you come back from an overwhelming event like PodCamp, you have a little bit of catching up to do with your own life. And once the dust begins to settle down, you try to figure out what you retained from all the information you got from the conferences, the talks in the hall and the chats around a beer at night. As you begin to attend more and more PodCamps and the like, you realize that you learn less and less. Factual information I mean, because I learned a lot during this past weekend and it had nothing to do with seo, metrics, Twitter or podcasting skills; it was all about relationships. 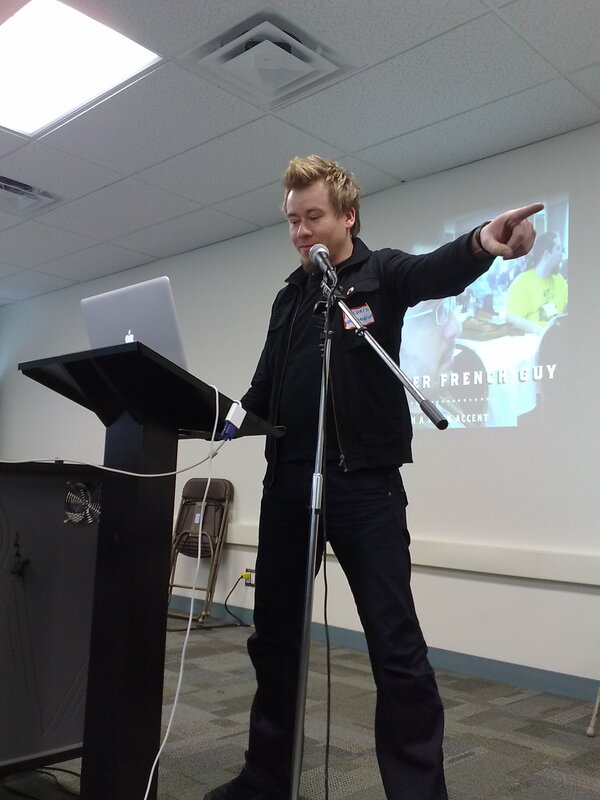 Take Chris Brogan for instance, the guy I gently called “The Ayatollah of Social Media” in one of my conferences. If you don’t know him, you should take a look at what he does. This man is followed by close to 50 000 people on Twitter. His blog is visited by a zillion people every month. He attends more events in a single year than I could ever dream of and meet thousands of people there. And yet, he manages to make each and every one of them feel unique. Not only that, on the Friday night he was telling people they should attend my conference and that it was the kind of thing that made him think in a whole new way when he saw me do it for the first time last summer. It’s not only the compliment that I found incredible, it’s the generosity he showed by directing me some of the attention he was getting. Analyze the true social media gurus like Chris and you’ll quickly realize that it’s all about generosity and passion. And these are things you just can’t fake. People see it when it’s fake. Throughout the weekend, I experienced generosity, good will, people hugging each other, paying for each other’s drinks without counting and having a lot of fun. We tend to forget that all relationships are based on generosity. Look, we use the word “relationships” even for business, that is where it all begins. Even before you do business, deliver a product or do a service in exchange of money, there are relationships. One may get contracts using cold calls or advertising. But if you have to choose between two, you’ll surely go with people you know, trust and from whom you’ve experienced generosity outside the business world. Next time we’ll see each other, I will possibly remember you, your name, what you do, what happened or what we said. Maybe one day I’ll need your help, or you’ll need mine. Or maybe we’ll just remain friends ’til the end of podcamps. To be perfectly frank, I never think of how we can be useful to each other. I only think of the great times we had and the special person you are. Because we all are. And we don’t have to wait the next big meetup to stay connected: If we met last weekend in Toronto, send me a message or something. I’d really like to hear from you or know what you think about my conferences.